Ready to run? In costume? And help stop cancer? 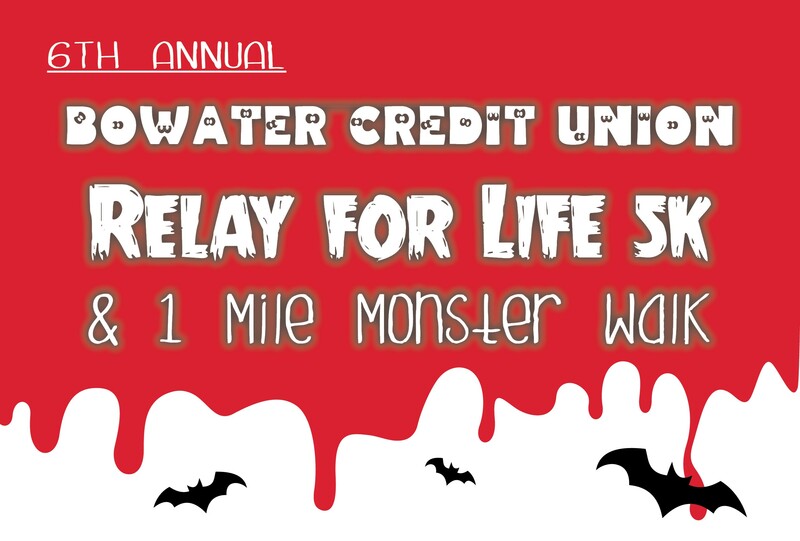 Join us at the 6th Annual Relay for Life 5k Monster Run and 1 Mile Monster Walk! When: Saturday, October 27, 2018. Registration is at 8am, 5k Run at 8:30, Monster Walk at 8:35. Registration is $25 and is available at any Bowater Credit Union branch. For more information contact Lisa Burkhart at lburkhart@bowaterecu.org.